Your Fauna is also able to do tricks such as greet, play, boing and more. A feature which I really like is the ability to put a little sign over your Fauna’s head which says “AFK” “Busy” or “Mentor”. 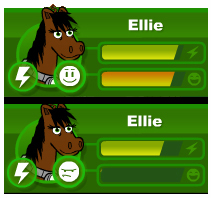 The first two I like because they make it very easy to convey a message to other players. The third is also a great idea because then new people can easily find people who will help show them the ropes, so to speak. 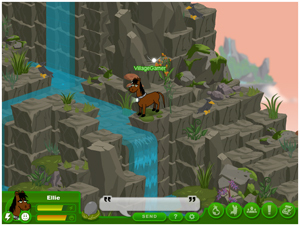 A Silver account, which is priced at $2.49 USD per month, permits a player to care for up to six fauna and receive 600 free bux (one of the in-game currencies) per month. Should the holder of a Silver account wish to purchase more bux, then that player receives a 15% discount on the purchase. 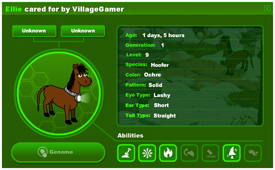 Those who pay $4.99 USD per month will receive a Gold account, which permits a “fauna farm” of up to 15 creatures, 1500 free bux per month, and a 35% discount on additional bux purchases. The top level premium account is available for $9.99 USD per month and permits up to 30 fauna, 4000 free bux per month and a 50% discount on additional bux purchases. A s mentioned above, there is more than one type of in-game currency. 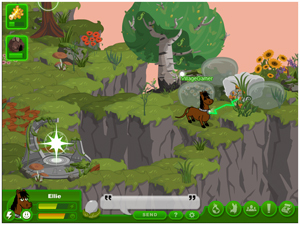 There is green Lux, which is awarded to players in a variety of ways. Lux is paid for completed tasks, cleaning up pollution, and sometimes even falls from trees if your fauna is capable of the “shake and take” skill, which involves shaking a tree to get a treat to fall out of it. Other creatures are able to dive in water for their “treasures” while still others can flip over rocks and logs to see what lies beneath. Players can also earn Lux from their Totem (more on that later) or from selling unwanted items in the Marketplace, an activity which assists in keeping the in-game economy flowing. 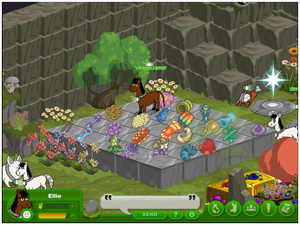 Players can also trade, buy or sell items privately – although not all items are tradeable. The other type of currency is Gold Bux. 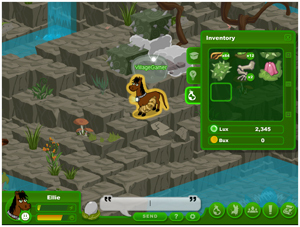 This type of currency may be obtained either by purchasing one of the three accounts mentioned above, or the player can also purchase Bux, again choosing from one of three options. The lowest amount purchasable is 500 Bux for $2.49 USD, followed by 1100 Bux for $4.99 USD and then 2400 Bux for $9.99 USD. An argument can be made that it would make more sense to purchase a monthly account, but if a player doesn’t want to feel obligated to play, then the occasional Bux purchase makes more sense. 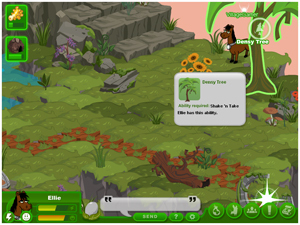 Players with Bux can also develop their Fauna’s Genome and see its family history and completely customize the appearance of their Fauna. 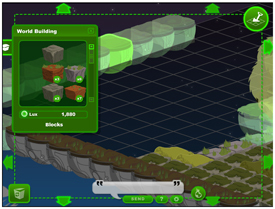 In game purchases of items can be made with both Lux and Bux, but some items do require the use of Bux. 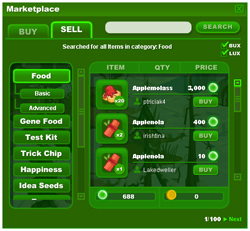 These are usually Advanced Food items for your fauna, or most often, special items for customizing your faunasphere. 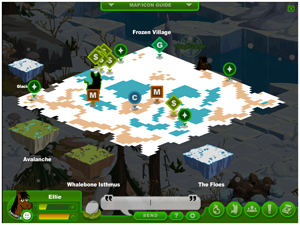 Every player is given a faunasphere, as this is where your fauna will go when you aren’t playing with them. It is also the place your fauna will return to if it becomes unhappy. Sometimes this game feature annoys me, because I will be in the middle of something and unable to give my fauna some food to make it happy again, thus getting automatically zapped back to my faunasphere. I realize that feeding your fauna is important, as food is its source of pollution-zapping energy as well as a contributor to its emotional happiness, but the fauna also need to learn some patience and not be so pouty about having its needs immediately gratified. There are also many decorations which can be found around the world, such as statu es, dolls and other items. Those who contribute to the Community Projects can also receive prizes for donating specified numbers of materials in exchange for tickets. 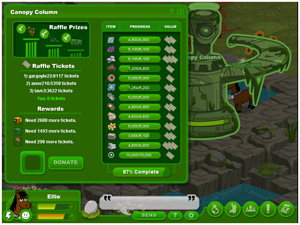 The tickets can then earn players special decorations for their Faunasphere, as well as earn them entries into the random raffle draw which takes place whenever the Community Project is completed. Any prizes gained through the Community Project process will appear in your Totem’s Gift area – again, this happens once a Project is finished. The Community Projects reset themselves after every completion. 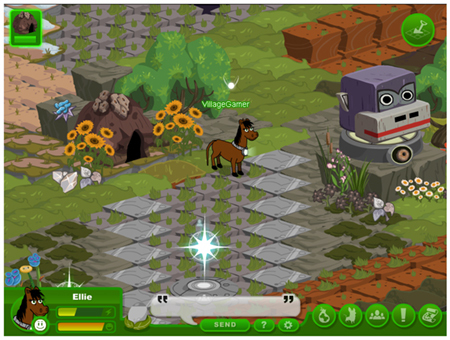 Customizing your faunasphere can (and has) lead to many hours of organizing, creating, and re-decorating. 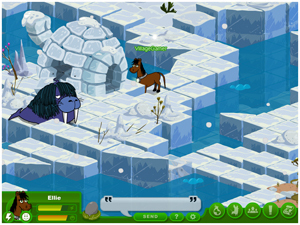 Building blocks of stone, grass, mud, steel, snow and ice can be obtained throughout the game or purchased from either the Store or the community-stocked Marketplace. 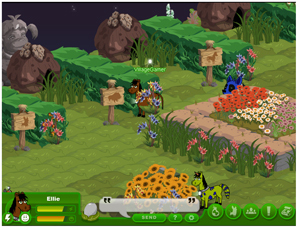 Players can also purchase, trade or win other decorations such as special plants, trees, ro cks and more. 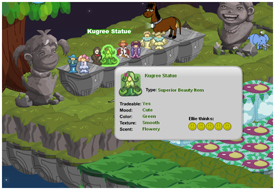 There are a number of statues available, and Big Fish Games rewarded all of its beta testers with a special gold statue of the Big Fish himself in shiny gold. 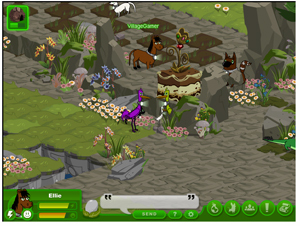 In order to win some of the special items, players must help contribute to the community projects. These projects are to help the greater faunasphere and require donations of many items which are purchased from other players’ Totems. Again, more on that later. In each of the three worlds is such a project. Contributing to the Community Project takes a lot of materials, which means the players who want to participate must spend a lot of Lux at other players’ Totems for the building materials needed. I’ve visited many of the individual Faunaspheres of many of the players, and I am continually amazed at the creativity and time that has been put into each home. 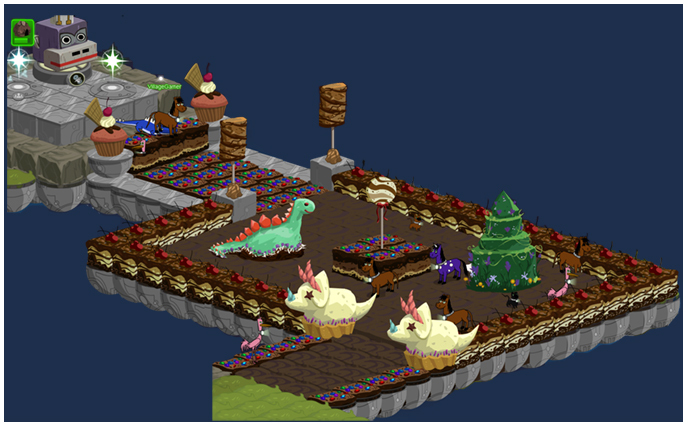 Should you decide to visit Faunasphere, just travelling through the Friend Gates can keep you busy for hours – and don’t forget to stop by the DesignTeam’s faunasphere – it will amaze you. The Totems looked after by each player produces one of a variety of building materials, ranging from gravel units to solar cells. Players must fund their Totems, as it takes Lux for the Totem to run. Once players purchase a set number of items from any given Totem, they become a Patron. I’ve found that it seems to be a custom among players that when one becomes a Patron of another’s Totem, they leave a little gift for the Totem caretaker. Another feature that I like in Faunasphere is the ability to switch Fauna without having to return to my home sphere. All it takes is a simple click of the button and my Fauna choice is made immediately. This can be very handy for those players who have more than one breed of Fauna, due to the different hunting and gathering skills. This can also come in handy if you notice (in time) that your Fauna is getting cranky and needs a trip home. 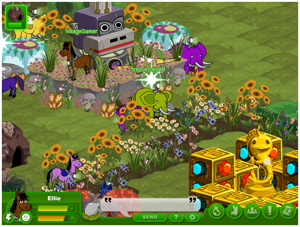 Players can easily switch the cranky Fauna for one fresh from a happy home. 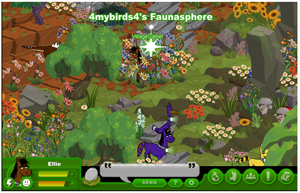 The Faunasphere, being community-based, has a very active forum where there is all kinds of assistance and good cheer to be had. It was somewhat amazing to see how large the community is, and how well it runs. It is also easy to see the many friendships that have developed among the game’s players. Everyone is made to feel welcome, and help is always there for the asking, especially if you are in need of materials or assistance on a quest. Quests are another aspect of the game which I enjoy – there are many quests (or tasks) to undertake, and many are repeatable and thus a ready source of Lux. It is very apparent that the game’s developers have put much thought into not only the environment but also game play, tasks and community. There are little details all over the Faunasphere which may take you a few visits before you even notice them. Something else I appreciate about the relationship between players and developers is that the developers appear to be quite involved with the community, and I also appreciate that Big Fish hired a dedicated community manager – this to me shows commitment to not only the title but also to the people who populate the game’s environment. One of the first people I encountered in game was IrishTina (Tina). Through talking with her, I discovered that she is the proprietor of Faunaholic.com, an officially authorized Fan Site for Faunasphere. 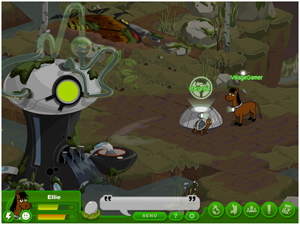 There is a huge amount of information on Faunaholic, gathered by many of the beta testers. Faunaholic is the definitive “How To” guide for Faunasphere. Tina joined in the Faunasphere beta testing in May; I asked her what she enjoyed most about Faunasphere, her answer was “I enjoy working on my home sphere more than any other aspect of the game. Many beta testers dove right into hatching new fauna, and that has never been my major interest. 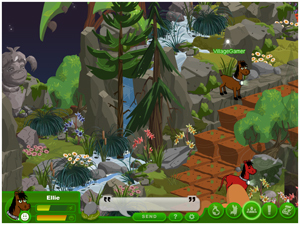 I enjoy working on my home sphere, doing new quests, visiting other home spheres, battling Pollution Monster, visiting the Cave, and just wandering around enjoying the artwork and ambiance.” Tina also plays other games including Pixie Hollow, and she’s involved in beta testing a new Hidden Object game. Tina: Excellent question, and one I’ve asked myself many times……especially at 3am! Basically, I just figured that I had all of the resources and that most people wouldn’t. 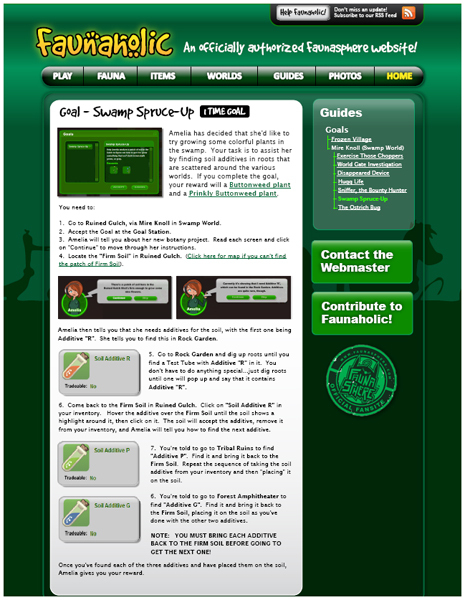 I understood the mechanics of the game and of the various items and foods, have written instruction manuals, and have been building web sites since 1995. I saw it as a way to put all of the needed information in one place for new players and for experienced players who wanted a reference. I’m very proud of the comprehensive lists of Happiness Items and Food items, but also proud of how the goals are explained. For example, I didn’t want to put TOO much information and spoil things for those who just wanted an overview. Yet, I knew some folks would want in-depth info with viewable samples. That’s why on the goal pages some of the “Spoilers” are hovers, like the answer to which specific items are needed (“Hugg Life”) or where specific areas can be found (the Fir m Soil in “Swamp Spruce-Up”). 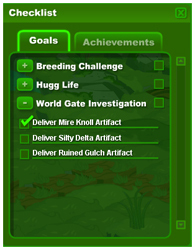 I hope to get the Forest and Frozen area goals done this week, add 1 and 2 smile food to each fauna’s page, and to keep adding to the site. Tina is also giving us a preview of Faunaholic’s upcoming new look, as shown in the images to the right. 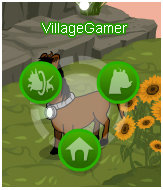 Village Gamer: On average, how much time do you spend either in game or working on Faunaholic? Tina: Total time would be close to 30 hours per week, but that’s both playing and working on the web site. Today I put in about 6 hours, with about 1 hour of that dedicated to updating the site for the Level 20 Club and then tracking down new members to give them their prizes. Village Gamer: Any last thoughts on your involvement with Faunasphere? Tina: The only other thing I can think of is that I hope that Faunasphere continues to grow! There’s an old thread that I started months ago titled, “Things I Would Pay For” where I started a list of all kinds of items and concepts that I think would add to the enjoyment of the game. Many others listed things too. I don’t know if you want to check it out or not, but the items that people want (more building materials, decorative adornments for fauna, “mystery seeds”, adding more attributes such as wings for fauna, seasonal decorations, etc.) are all items that I hope will come eventually find their way into the game. I think that the concept of Faunasphere is tremendous and tremendously addicting and now it just has to keep growing. So my own final thoughts on Faunasphere are that Big Fish definitely has a winning franchise with this title. While I am still on the fence as to whether or not I will advance to the next level and become a subscriber, I do know that I enjoy the game immensely. While it’s not the genre of game I normally play, perhaps that is in part its attraction. 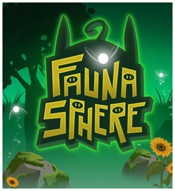 Faunasphere is filled with peaceful (and sometimes comical) sounds, the ambiance of the game’s environment is relaxing and a great way to wind down the day. Okay Noelle – so you were right, I enjoy Faunasphere. This entry was posted on Tuesday, September 22nd, 2009 at 5:00 am and is filed under Casual, Everyone 10+, Game Reviews, RPG - MMORPG. You can follow any responses to this entry through the RSS 2.0 feed. You can leave a response, or trackback from your own site.